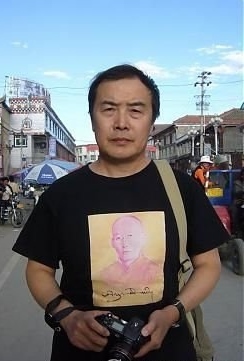 Wang Lixiong (王力雄) is a Beijing-based Chinese writer best known for his political prophecy fiction, Yellow Peril, and for his writings on Tibet and China’s western region of Xinjiang. Wang is regarded as one of the most outspoken dissidents, democracy advocates in China. Between 1980 and 2007 when this book was finished, he made nine trips to Xinjiang and his travels brought him to every part of the region. While traveling in Xinjiang in 1999, he was briefly detained by the Chinese secret police for suspicion of collecting classified information. But his prison time in unexpected ways helped the writing of this book. Wikipedia (in English) has a list of Mr. Wang Lixiong’s works. Read the complete book My West China; Your East Turkestan here (in Chinese). By China Change in Analyses and Opinions, Uighurs on March 3, 2014 . Vey good analysis of China’s imperialistic, megalomaniac policies & strategies to grab what does not belong to China. In politics there is only the ruling class, their supporters and the disenfranchised. In a democracy the ruling class is supported by the majority of the population who falls into the 2nd group. Disenfranchised is managed at ~50% or so high or low. In a dictatorship the majority is disenfranchised. It doesn’t matter what the ancestry is, as long as in the present the majority of the population feels grossly disenfranchised by the current regime, the sentiment for revolution would grow as they seek to change their disenfranchised status after grievances followed by grievances. The only risk is in seeking their goal they may replace one extremely selfish ruling class by another extremely selfish ruling class and end up getting nowhere. The corollary of disenfranchisement is if the ruling class is extremely selfish it has a tendency to disenfranchise others, including its own supporters in the past. We see that in Joseph Stalin who ran a police state, and we see that in today’s Right Wing western rulers who seeks tax cut for the rich (minority by definition). They all have authoritarian tendencies, even in advanced Western democracies. They are not afraid to use propaganda to advocate for war (Iraq), fan nationalism (China) to support their own self interest, and crack down on dissent such as occupy wall street. When extremely selfish people become exploitative the general population suffer. The collective common such as defense suffer. And eventually the political institutions are neglected and falls. Only then will revolution take hold, and the cycle begins again. Thank you for your insightful article. I only wish many more Chinese intellectuals were like you. I am a Mongolian and feel sorry for the oppressed Inner Mongolians in China, in the same way as Uighurs, but still do hope the human wisdom will shine once again in China. mongol nazi, inner mongolia more richer than u country. There are too many dirty and bloody things done by the government and its officials. But ordinary Han Chinese are brain washed by the government and without knowing any of those dirty things done by them. Whatever its reasons behind, there is no justice to kill those 33 ordinary people. The people cannot repeat what bad things done by the government in sacrifice of lives of ordinary people. do u think chinese are idiot? uyghur became more and more wahhabism .do u konw it? Most Chinese are ignorant about what it means to be democratic and that is by design. They simply haven’t been taught what they need to know. For instance a perfect example of undemocratic institution such as communist part would limit its membership to only a selected few because if it opens up membership to everyone it would become democratic. Yet most Chinese activist only advocates for rule of law, not open membership, so they are doomed to fail because they are essentially begging for a better system instead of making real fundamental demand for change, so their efforts are doomed to begin with due to lack of understanding. Chinese people are not idiot but are simply ignorant and less knowledgeable. Even Chinese who are western educated do not grasp the fundamentals of political economy to understand what they should be advocating if they want better representation. Thank you so much for this very insightful and thought provoking article about the situation in Xinjiang. I’m really curious what dissident Chinese intellectuals like Mr. Wang could recommend. Is he okay with China being split apart? ‘Cause you can’t have an independent East Turkestan without an independent Tibet…and maybe even the loss of so-called Inner Mongolia to Mongolia! And if you’re going to have freedom of speech, religion, and all that nice democratic stuff — which is morally correct, to be sure — then that’s exactly what you’ll wind up with: ever more strident calls for independence and, of course, violence anyway eventually since independence can never come quickly enough for most nationalists. Unless people like Mr. Wang are willing to countenance such a development — the Chinese state being split apart in blood anyway (there almost certainly won’t be a Czech-Slovak divorce here) — what else could the Communist authorities do but try their acrobatic best juggling crisis after crisis? It would really be nice to see some specifics from honest Chinese like Mr. Wang. It is not yours to begin with. Why do you want to keep other nations under your banner and torture them when they dont want to? it’s sad that such different believes in race and religion bring about a division within the people of the same city, all for political reasons. this is very much sound like a civil war about to happen. I disagree that this would set a precedent for Inner Mongolia, if only because the Inner Mongolian population is overwhelmingly Han Chinese and has been so for at least the past century, possibly longer. One might as well imagine the Chinese northeast–the former Manchuria–becoming a Manchu nation-state. More importantly, this is why I don’t see China granting independence to Xinjiang any time soon. What nation-state wants to give up territory, especially if it fears that it might lead to further losses? Russia is not about to give up Chechnya, say, because it fears losing all of the North Caucasus to separatists, and perhaps beyond. Indeed, so what’s the Chinese state to do? I’m really curious what folks like Mr. Wang propose specifically. The depth of hatred involved suggests a damned-if-you-do/damned-if-you-don’t reality that precludes any policy prescription save biding one’s time and keeping on keepin’ on…? Personally, I think there should be a high-level effort to invest in varsity and local sports — everyone look for the upcoming “Diamond in the Dunes” documentary, scheduled for broadcast on PBS in the US next year, about a Uyghur university baseball team captain struggling to hold his ethnically diverse team together for their big game against Tibetan students — to promote the “ethnic harmony” they so prize. Tibetan exile Govt’s. longstanding view on solving Tibet’s problem is through dialogue, since 1979s HH Dalai lama has proposed middle way for political solution, this is based on current political situation but it does not mean Tibet concedes defeat to communist China. It was to find immediate solution based on compromise geo-political demands. Nonetheless China continues to rand Dalai lama as separatist, no matter how much compromise you show to Communist China it will never reflect upon their policies here won’t be any quid pro quo. China only knows how to subdue indigenous peoples and to colonize its peripheries….. This article conveys a number of home truths, but there is no chance that any Chinese government, “communist” or otherwise, will accept the independence of Xinjiang or Tibet. They are not only sources of raw materials that China proper lacks, but also buffers against dangers from India, Russia, and the central Asian countries. And they have been formally part of China for longer than the US has existed. The only way to make progress is for Chinese to better understand the non-Chinese people in the region, and to make more efforts to include them in government and in prosperity. Most Chinese think of Uighurs (and Tibetans) as “backward and dirty.” Getting rid of this prejudice is the first thing that has to be done, both by government policy and by more Uighur involvement in the rigors of Chinese life. But I don’t hold out much hope for avoiding violence, especially since I agree that China itself may have trouble dealing with its own centrifugal tendencies, if there is any serious economic downturn. I personally think everyone is better served by peace rather than violence, but the actual participants may feel differently. I do not discount the likelihood of CIA involvement in Xinjiang, either. In the furtherance of its own goals, the US (like other “great nations”) accepts a bit of violence and suffering…especially in other countries. muhajirettiki qerindashlirmiz we teshkilatlirmiz arisda itipaqliq birlikning emelge ashalmasliqidiki sewep bizde dimukirattiye yoq. bir qsim kishler ozlirning gipini ras dep turiwalidu.kimning hoquqi chong bolsa shuning gipi gep boliwatidu.asasliqi ledirlirmizning sewyisi towen bolghach uyghur dewasigha toghra yitekchilik qilalmaywatidu. biz qabilyetlik rehberlirmizni qollishimiz, birqisim qabilyetsiz rehberlerni shallishimiz kerek.bu eng awal qilishqa tigishlik muhim ish.uyghur dewasigha rehberlik qilish uchun qorsaqta umach bulishi kerek. sherqi turkistan dewasini tereqqi qildurush uchun kuchluk sewiye telep qilinidu.sen sherqi turkistan dewasini ugunup bashlan’ghuchning diplomini alghan bolsang ottura mektepning balsgha deris birelmeysen. nowette dewa sepimizge kiriwalghan birqism munapiqlar teshkilatlirmizni jan baqidighan qoralgha aylanduriwaldi. bular gorohwazliq qilp,oghiri qaraqchilardek herket qilip yengidin bash koturup chiqqan teshkilatlarni urup yiqitiwatidu.dewani keynige sorewatidu. bundaq bulishidiki asasliq sewep ledirning teshikilatni yiteklep mangghidek sewiysning yoqlighida yaki bolmisa xitaygha bergen wede qesemlirni emelge ashurush uchun ishlewatqanlighida.sherqi turkistan sergerdan hokumiti,sherqi turkistan maarip hemkarliq jemiyiti qatarliq uyghur teshkilatlirning tek mewjut bulishi bir ijabi hadise idi.bu teshkilatlar ottursidiki mesillerni toghra hel qilalmighanliq yene del shu ledirning xataliqi. sen ozengni men uyghurning lediri deysen, likin arida buzghunchiliq qilisen.weten uchun jan pida qilshni xalaydighan heqiqi ot yurek inqilapchilar bilen heqiqi yusunda hemkarlishishni xalimaysen.sen zadi kim bilen hemkarlishishni xalaysen.sining haling shu tursa dewada qanchilik netije qolgha kelidu? uyghurning arzusi erkin hor yashash.hergizmu milyonir bulush emes.sen munapiq xitaydinmu zeherxende birdem qerindashlirmizni chetke qaqsang birdem xitay doslurung arqiliq qerindashlirmizni yoqitiwatisen.sen zadi qandaq ledir?